OMG! I'm overweight! That's flipping AWESOME!!!! Because it means that I'm not obese any more! This week I dropped another 2 lb and my BMI dropped below 30 for the first time since.... well since I first heard of BMI! Those size 14 jeans don't give me a muffin top any more - although my "baby bump / pouch belly" still sticks out at the front (ain't nothing but sit ups gonna shift that - damn it). I'm stunned since we spent most of last weekend eating. I was fully expecting a stay the same, and wouldn't have been shocked at a gain. But there you go! Being extra careful this week has paid off. It probably helped that since it's Half Term I have been taking the kids out and walking all over with them. I really should go back and add the activity points, just to record the difference it made. Hubby lost 2 lb too and he was so surprised that he refuses to believe it! This time last year my BMI was 36+ putting me at severely obese. I had no idea I was that big! Sure.... I knew I was big. I was aware of what size clothes I was wearing and I had mirrors same as I do now. But I had a bit of a mental block on just HOW big I was. 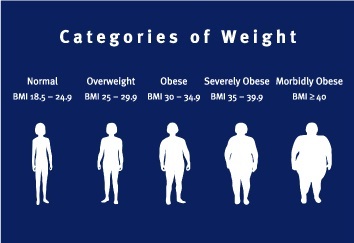 Right now I am THRILLED to be only overweight. My eldest son asked me if I was going to have a party to celebrate, hahaha... Maybe when I get to "ideal" weight! Only 2st 1lb till I'm there! I CAN resist Halloween treats! It's worth having the points app on your phone for days out! Keep on drinking more water - it's working!